Well our regular season is over for this year with just a couple areas running till Jan for does only. I'm bout to get a complex after shooting two skin heads that both turned out to be little bucks this year. Saw several thumper bucks but no dice, something always went wrong. We'll be looking for em next Sept.
Widder LBX, 62@27, WW heads and AD Trad carbons. So far we are running a close match, Doug, so I gotta think you did Grrrreat - LOL. I do still have all of Dec and first day of Jan. though . Well done Doug , it looks nice and cold there at the moment , we are at the other end of the weather sock down here at the moment , had a hunt this weekend gone and nearly dropped from heat stroke. 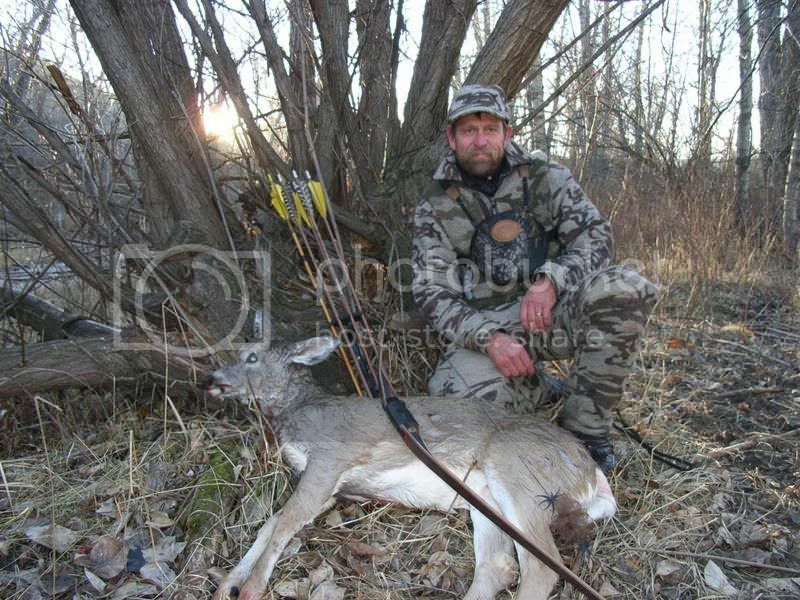 Nice shooting and a nice looking bow as well. 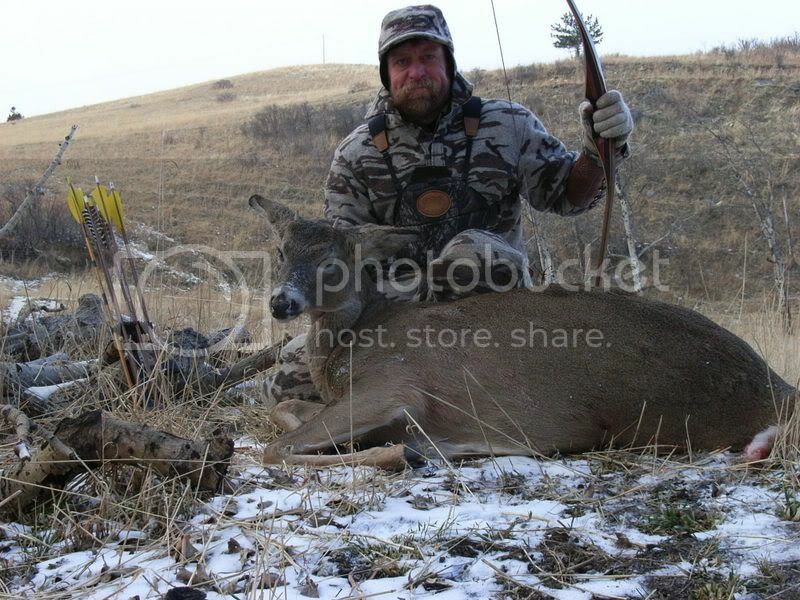 Congrats Doug........good shootin, and finner eatin. Nice goin Doug! Good to see your Mug in a Hero pic once again Bud.